History records that the Olympic Games originated in ancient Greece nearly three thousand years ago, died out around 393 AD, and were triumphantly reborn in 1896, in the Greek capital of Athens. Rather less well known is how, during the intervening centuries, an assortment of British writers, romantics, sportsmen and visionaries helped nurture that revival. 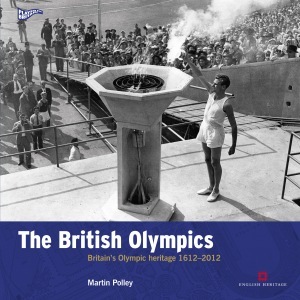 Indeed, as sports historian Dr Martin Polley argues in this, the 12th book in the acclaimed Played in Britain series, our nation’s fascination with all things Olympian has played a pivotal role in shaping the Games as we know them today, culminating in London becoming in 2012 the first city ever to stage a third modern Olympiad. Consider, for example, that the first published use of the word ‘Olympian’ in the English language dates from around 1590. Its author? William Shakespeare. And that the first games of the post-classical era to adopt the formal title ‘Olympick’ took place in the Cotswolds village of Chipping Campden in 1612. It was an English traveller, Richard Chandler, who rediscovered the lost site of Olympia in 1766, and a Shropshire doctor, William Penny Brookes, who, in 1850, founded the Much Wenlock Olympian Games, an annual community festival that inspired Pierre de Coubertin to revive the Games at an international level. Other Olympic festivals surfaced in London (to celebrate Queen Victoria’s accession), in Liverpool, and in the north-east town of Morpeth, while the words ‘Olympic’ and ‘Olympian’ became steadily more ingrained in the popular imagination throughout the Victorian era. Britain’s Olympic heritage gained added momentum in the 20th century. At White City in 1908, London built the world’s first modern, purpose-built Olympic stadium, while in 1948 London stepped in to save the Games by offering Wembley Stadium. Also in the late 1940s, at Stoke Mandeville hospital in Buckinghamshire, the modern Paralympics were born when sporting contests were organised for injured servicemen. Thus the 2012 Games represent the culmination of over four hundred years of British enthusiasm and ingenuity; an attachment that has left in its wake a trail of fascinating stories, characters, sites, buildings and artefacts. Leading the reader on a marathon journey, The British Olympics charts them all, making this a vital and entertaining source for anyone with an interest in the Games, in sport, and in the wider narrative of Britain’s social and cultural heritage.